3-day symposium, was the largest network for brands and innovators to connect with the people that matter at Goa Marriott Resort & Spa, Miramar. 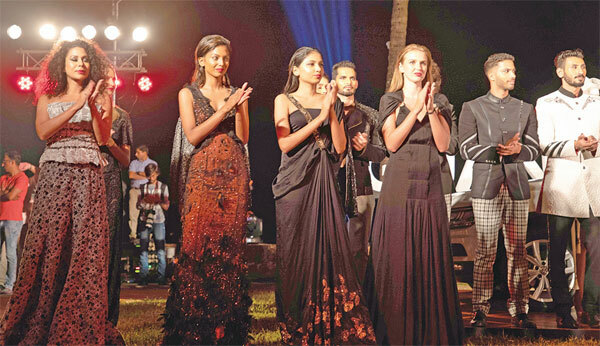 The Grand Finale show was a beautiful setting in the sea front lawns of the resort where the white Volkswagen beast was parked. Models walked the ramp in front of the Tiguan beast and posed in front of the audience. With a collection that fosters the notion of being yourself, designers and guests greatly appreciated the hard work put forth by the very talented CEO and Co-founder of IBFW, Pallav Ojha. It was a grand and royal occasion, surrounded by focus lights that highlighted the attire worn by the models, giving a vibe of warmth and happiness.